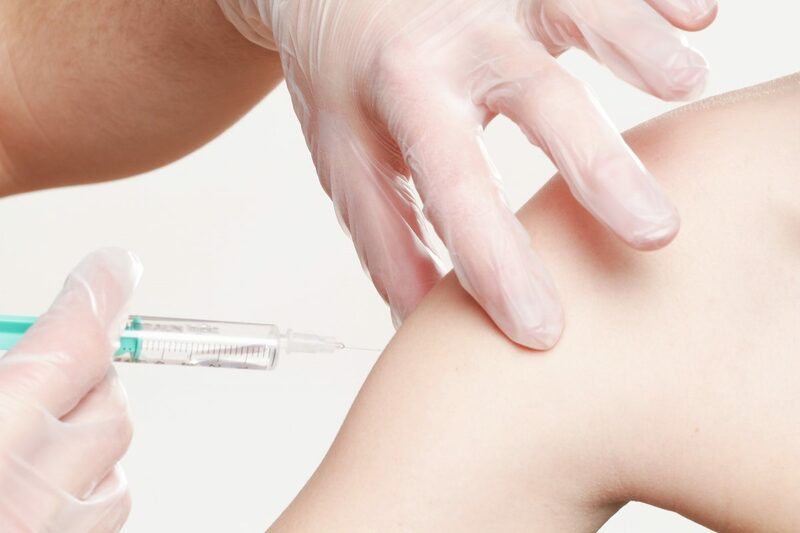 Shingles vaccination is the only way to protect against shingles and postherpetic neuralgia (PHN), the most common complication from shingles. CDC recommends that healthy adults 50 years and older get two doses of the shingles vaccine called Shingrix (recombinant zoster vaccine), separated by 2 to 6 months, to prevent shingles and the complications from the disease. Your doctor or pharmacist can give you Shingrix as a shot in your upper arm. Shingrix provides strong protection against shingles and PHN. Two doses of Shingrix is more than 90% effective at preventing shingles and PHN. Protection stays above 85% for at least the first four years after you get vaccinated. Shingrix is the preferred vaccine, over Zostavax®(https://www.cdc.gov/vaccines/vpd/shingles/public/zostavax/index.html) (zoster vaccine live), a shingles vaccine in use since 2006. Zostavax may still be used to prevent shingles in healthy adults 60 years and older. For example, you could use Zostavax if a person is allergic to Shingrix, prefers Zostavax, or requests immediate vaccination and Shingrix is unavailable. Shingrix reduces the risk of shingles and PHN by more than 90% in people 50 and older. CDC recommends the vaccine for healthy adults 50 and older.If you had shingles in the past, you can get Shingrix to help prevent future occurrences of the disease. There is no specific length of time that you need to wait after having shingles before you can receive Shingrix, but generally you should make sure the shingles rash has gone away before getting vaccinated. What are the possible side effects of Shingrix? Studies show that Shingrix is safe. The vaccine helps your body create a strong defense against shingles. As a result, you are likely to have temporary side effects from getting the shots. The side effects may affect your ability to do normal daily activities for 2 to 3 days. You might have a reaction to the first or second dose of Shingrix, or both doses. If you experience side effects, you may choose to take over-the-counter pain medicine such as ibuprofen or acetaminophen. Severe allergic reactions to any vaccine are very rare. Signs of a severe allergic reaction can include hives, swelling of the face and throat, difficulty breathing, a fast heartbeat, dizziness, and weakness. These would start a few minutes to a few hours after the vaccination. If you have a severe allergic reaction or other emergency that can’t wait, call 9-1-1 or go to the nearest hospital. Otherwise, call your doctor. If you experience side effects from Shingrix, you should report them to the Vaccine Adverse Event Reporting System (VAERS). Your doctor might file this report, or you can do it yourself through the VAERS website, or by calling 1-800-822-7967. If you have any questions about side effects from Shingrix, talk with your doctor. nextDo I Need Genetic Cancer Screening?